Are you a fan of Sherlock Holmes? Do you want to know some incredible trivia about the world's greatest detective? 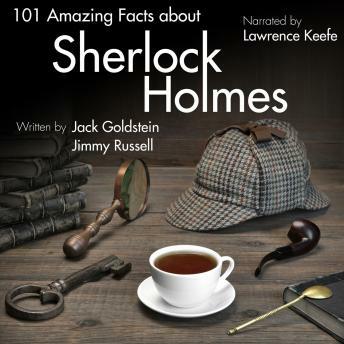 Whether you prefer Benedict Cumberbatch in the BBC's Sherlock, Robert Downey Junior's portrayal in the film series, or even Basil Rathbone's performances almost 80 years ago, this fascinating audiobook narrated expertly by Lawrence Keefe is sure to interest you regardless. With over 100 amazing facts covering everything Sherlockian - from Sir Arthur Conan Doyle to Gregory House - this is the perfect addition to any fan's bookshelf.